Archie Vs. Predator Issue 02 – Now this is an AvP that I can get behind! Featuring a script by Alex de Campi, pencils by Fernando Ruiz, inks by Rich Koslowski, colours by Jason Millet and letters by John Workman. Riverdale gets a little bloody, as Archie and the gang are back home after a less than relaxing trip to a tropical island. 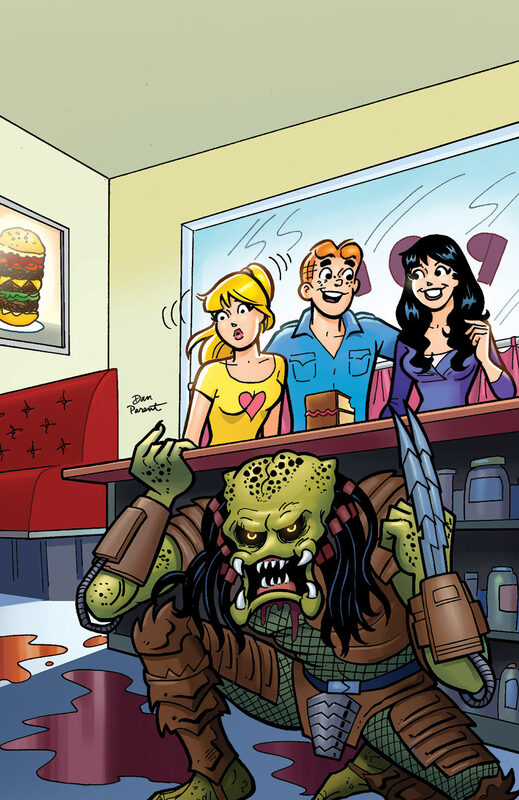 Betty fears the body count of secondary characters piling up around her, Veronica, Archie and Jughead is her fault for a jaguar curse she thinks she invoked, and a stolen ceremonial dagger. 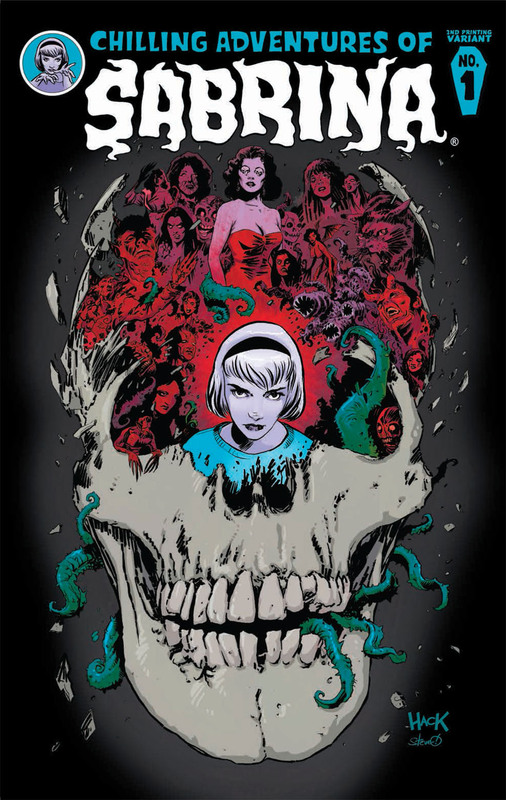 Chilling Adventures of Sabrina Issue 01 – Leaving Riverdale for neighboring Greendale, this is a series I’ll need to catch up on as Kirk has been recommending it since it started. With a story by Roberto Aguirre-Sacasa, gorgeous art by Robert Hack, and letters by Jack Morelli the story takes everyone’s favorite teen witch and grounds it firmly into a horrific occult reality, paying homage to its origins but reinventing itself with a truly dark story. All the faves are there, Hilda, Zelda, cousin Ambrose, and even Salem the familiar (with guest appearances by Betty and Veronica), but the story is definitely dark, while being playful, as the first issue follows the creepy events around her birth, the truly disturbing fate of her father, and of course, the horrors of high school. The series is setting up a rather scary arc, and I’m looking forward to seeing where it’s going. 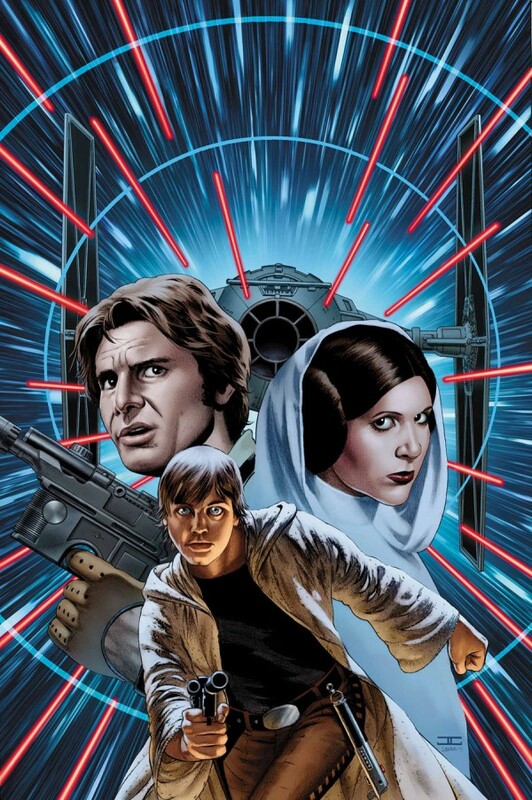 Star Wars Issue 05 – Marvel is taking us back to a galaxy far, far away, with the four titles (with a fifth coming) in a big way. Jason Aaron writes, while John Cassaday is the artist, Laura Martin does colors, and Chris Eliopoulos does letters. Luke has returned to Tatooine in search for clues and guidance in the ways of becoming a jedi – he wants to go through old Ben’s belongings, but there may be problems on the way. It seems a familiar bounty hunter, commissioned by Vader, is on the young man’s trail, with aid provided by a young fella who calls delightedly for this reader, makes reference to scenes that were cut from A New Hope back in ’77. Meanwhile, Han and Leia, with a fun bit of bickering, have set off in a stolen imperial shuttle to explore the outer rim in search of finding a new base for the rebels, still on the run after the battle of Yavin. This may sound like an odd complaint, as I am really loving these comics, but there are so many action beats, that the story doesn’t advance a whole lot from issue to issue. Don’t get me wrong, I love the art – many of the images may end up becoming iconic(! ), I love the moments, but I just wish the story moved as quickly as everything else does in this book! Still, it’s not to be missed! More next week! In the interim, pop into West End Comics say hi to Kirk, and dog Satchel, and ask for a recommendation!